If you already have the perfect location, why not put your dream home on it? There are many advantages of knockdown and rebuild. Of course you will have the benefits of keeping your address, staying near your kids’ school and your local shops, but you’ll also have an amazing new home without the hassle of searching for the perfect block of land. According to the most recent HIA-Colorbond Steel Housing 100 Report, 10 per cent of the total number of new homes built by Australia’s 100 largest home builders in 2013/2014 were knockdown rebuilds. Given the many advantages of demolishing your home and starting fresh, it’s not hard to see why this is predicted to be an increasing trend. One of the main benefits of opting to demolish your existing home and rebuilding is that it can be more cost effective than renovating. It is not uncommon for home extensions and renovations to be more expensive than new homes on a square metre basis. This is because renovations require a lot of time-consuming demolition and rectification work before the new work can commence. Costs associated with extensions and renovating can be difficult to determine during the design stage as unforeseen construction issues can arise. While renovating requires you to work around your existing structures, knockdown rebuild provides you with more design freedom. The most cost effective renovation and extensions tend to be those where a level of compromise in the layout is accepted to meet budget constraints. Starting with a clean slate means fewer design compromises need to be made and you have more options in terms of style and size of the home, sustainability and the use of modern building practices. 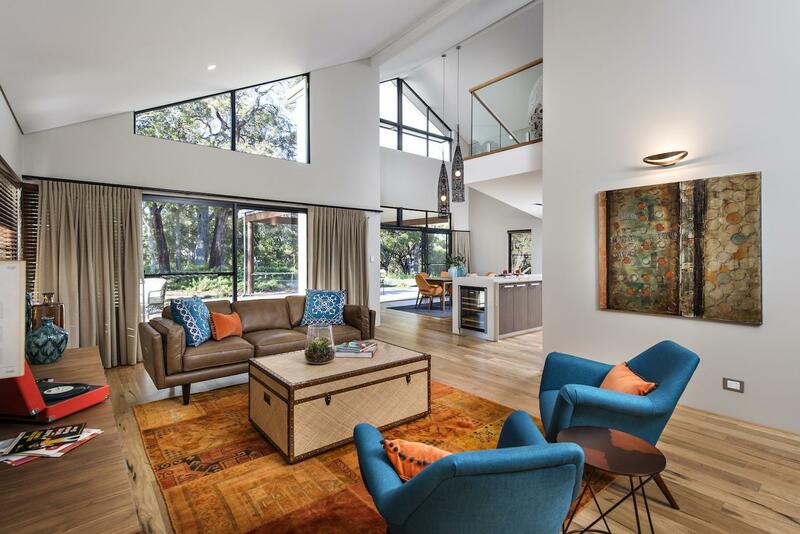 Unforeseen problems can arise when renovating your home, including leaky pipes and faulty wiring which can turn what should be an exciting home makeover into a lengthy, stressful nightmare. Knockdown rebuilds don’t have as much uncertainty in terms of cost and budget blowouts like extensions and renovations. When building a new home from scratch, you should have the piece of mind that your contingency budget won’t need to be as big. Knockdown rebuilds are a great option for families who love where they live but are in a desperate need of a new home that better suits their needs. Are your children growing up and wanting more space? Do you want to stay close to your children’s school? Rather than upping sticks and buying or building elsewhere, opting for a knockdown rebuild means you can construct the home of your dreams but stay in the area you love. A shortage of land in and around metropolitan areas in Western Australia has been a driving force behind the popularity of knockdown and rebuilds. Properties in well-established areas can be expensive, no matter their age. Before you go ahead and purchase a metropolitan home, it is important to weigh up the cost versus the lifestyle benefits to ensure the price of the purchase, demolition and rebuild is worth it. Another benefit of undertaking a knockdown rebuild is that you can design a sustainable home that would not be possible if you were to renovate. You can do this by optimising the orientation and layout of your home to ensure maximum sun exposure in winter and shade in summer. This allows you to improve your homes carbon footprint and reduce your household energy spending. Knockdown rebuilds also give you the opportunity to use sustainable building materials including the latest smart and eco friendly fixtures and features. We can put you in touch with your local New Homes Consultant who can provide you with the best advice to ensure the demolition process integrated seamlessly into the building process. For further information please don’t hesitate to give us a call on FREECALL 1800 643 800 or send us an email below!